I need to make some "Welcome to the School" cards so I thought this sentiment from Petite Pairs would be perfect. I used the Splitcoast Sketch#450 here. 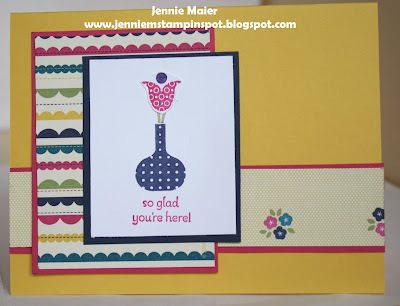 Bright Blossoms and Petite Pairs are the stamp sets with some Gingham Garden DSP. Needed a thank you so I used the Splitcoast Color Combination#440 here. The colors to use are Strawberry Slush, Pumpkin Pie, Daffodil Delight, Island Indigo and Pool Party. Six-Sided Sampler is the stamp set paired with some Polka Dot Parade DSP. Finally a Chance to Stamp! Where has the month of August gone? Well for me, it was a too-short family vacation, two college visits, work and getting our oldest ready to leave for college! Oh and getting the other two kids ready for high school too. I needed a thank you for our great family vacation so I used the PPA Sketch#169 here. 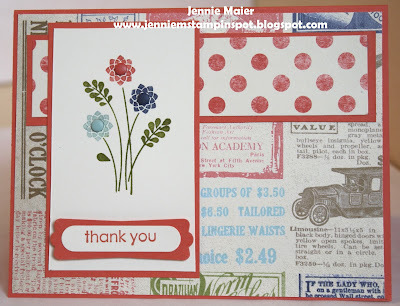 I used the Embellished Events stamp set with some Etcetera DSP. Love those Candy Dots! The 2013 Holiday Catalog is live and here's a sample of some of the great stamps and papers you'll find. 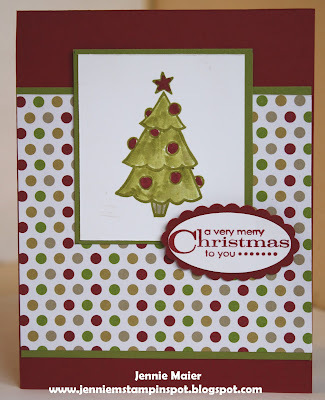 The tree is from a stamp set called Color Me Christmas. Too cute, it includes 5 stamps of a stocking, mouse, gift, Santa and tree. And the DSP is found in the Seasons of Style DSP and DSP Stack. The greeting is from More Merry Messages that's not in any current catalog, but is still available to order! 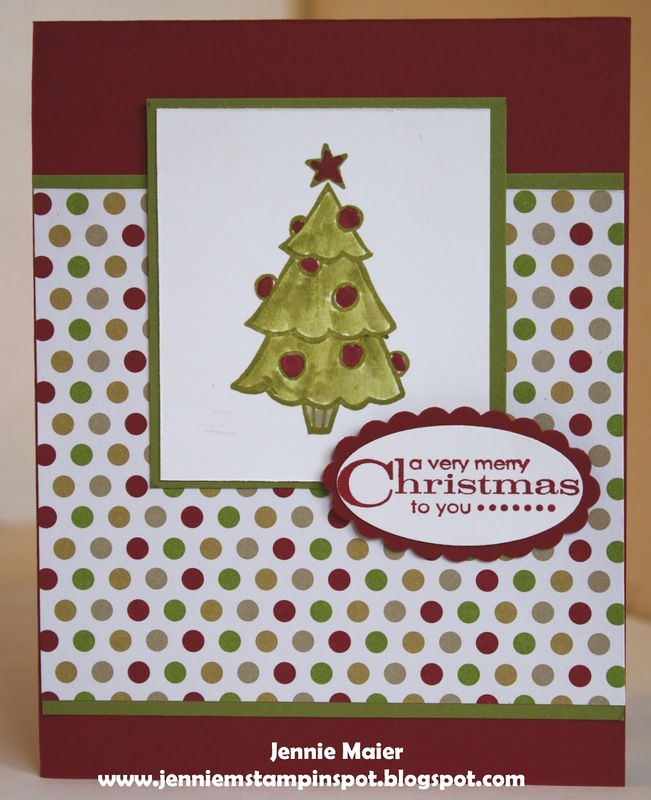 Oh and the card came together so quickly thanks to the Splitcoast Sketch#447 here.